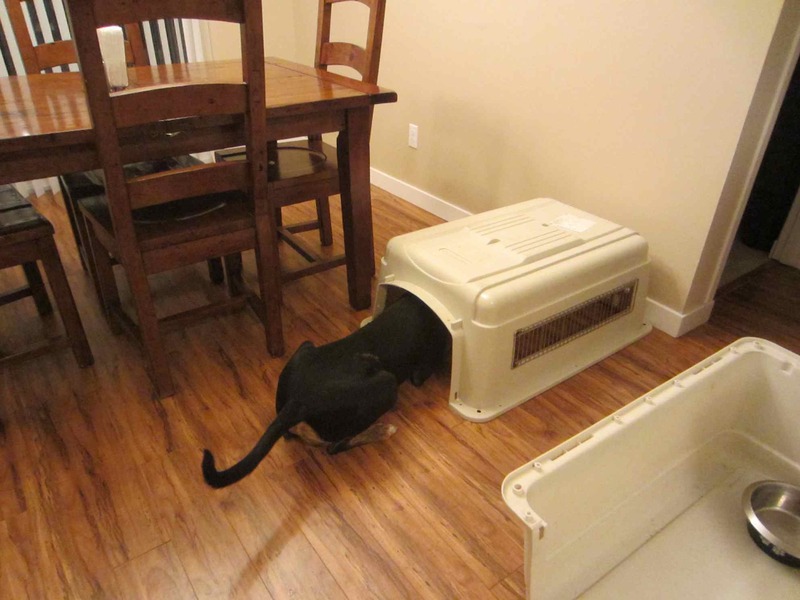 When I first arrived to stay with Zamba her owners mentioned she was terrified of her crate and raised a ruckus when they tried to put her in it. I didn’t promise any miracles, but since I had a month I offered to work on the issue. I started with the very basics, using just the base of the crate to help create a brand new relationship with it. From there we made slow and steady progress. 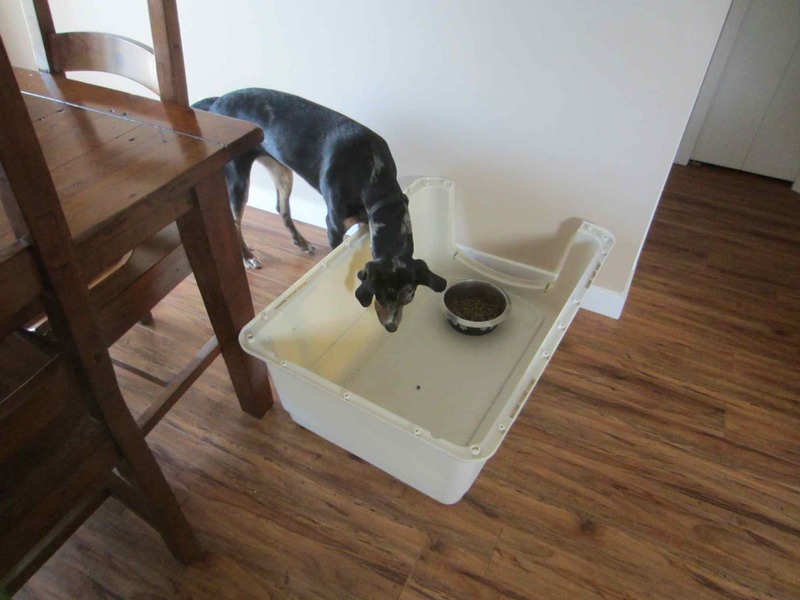 I began by helping Zamba associate the crate with something she loves, meal time. 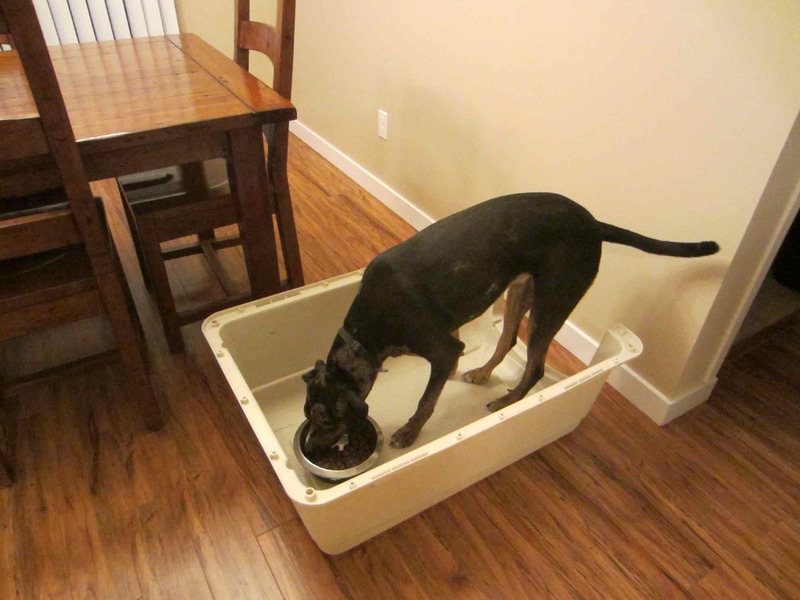 For a while, Zamba kept one foot on the floor at all times, just in case. 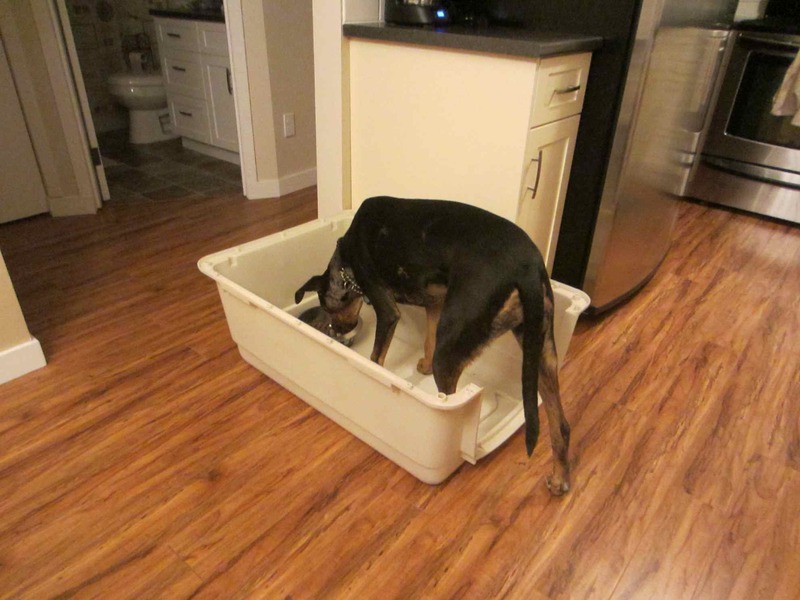 Moving the crate base into a different spot encouraged her to keep all four feet inside. 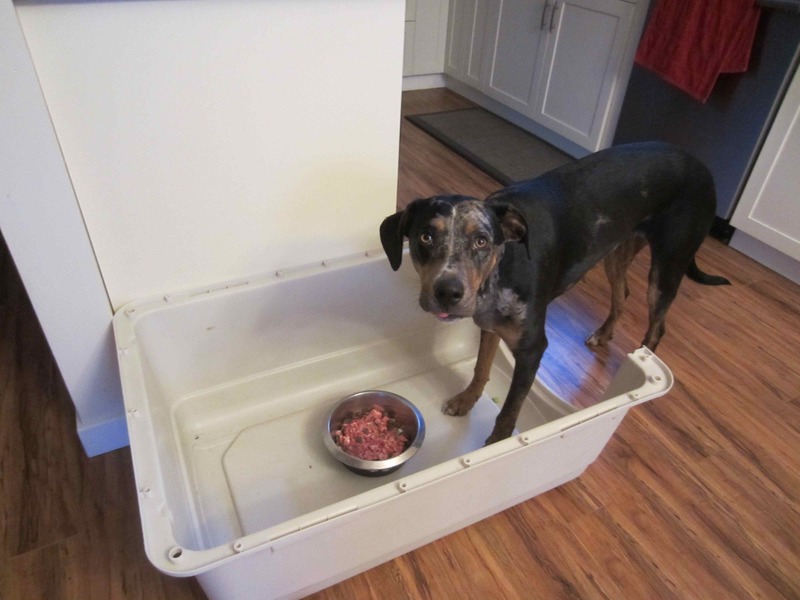 Now for a really big challenge, getting the treat that’s been tossed into the “cave” made using the top of the crate. Once you’ve squeezed into a small cave, a big one is no problem! 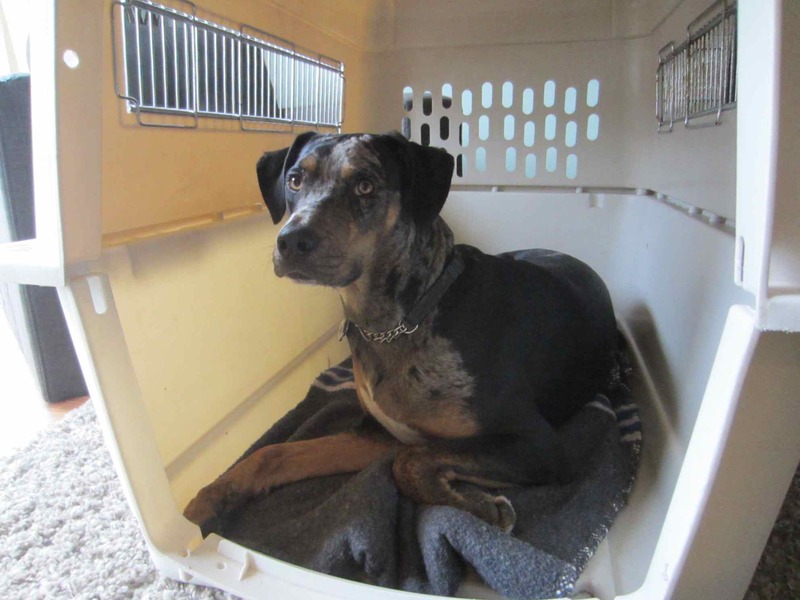 Being able to lie quietly in the crate was a big hurdle that took lots and lots of calm persistence and patience. 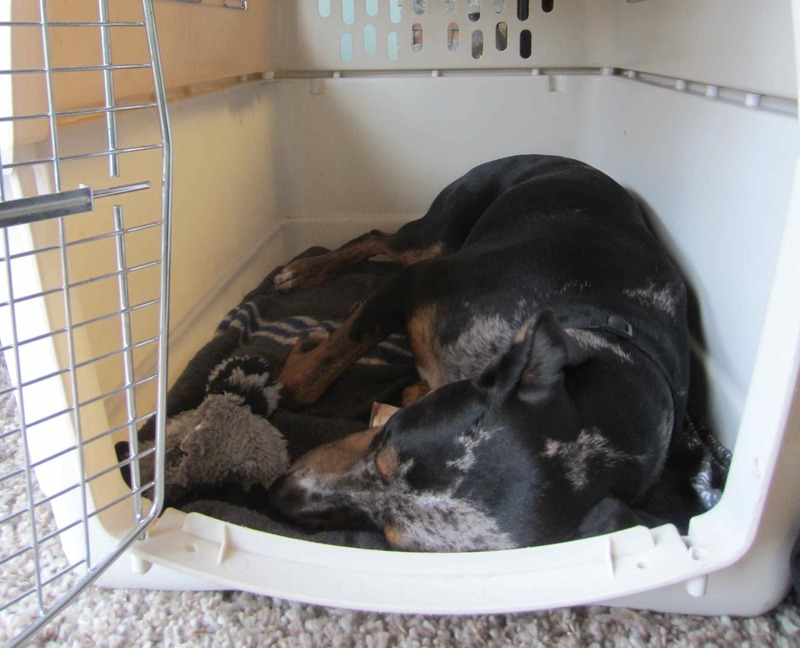 Eventually, Zamba was able to relax enough to fall contentedly asleep in the crate with the door open. My proudest moment was when Zamba wandered into the crate by herself one afternoon, lay down and went to sleep. Well done Zamba, for overcoming your fear! 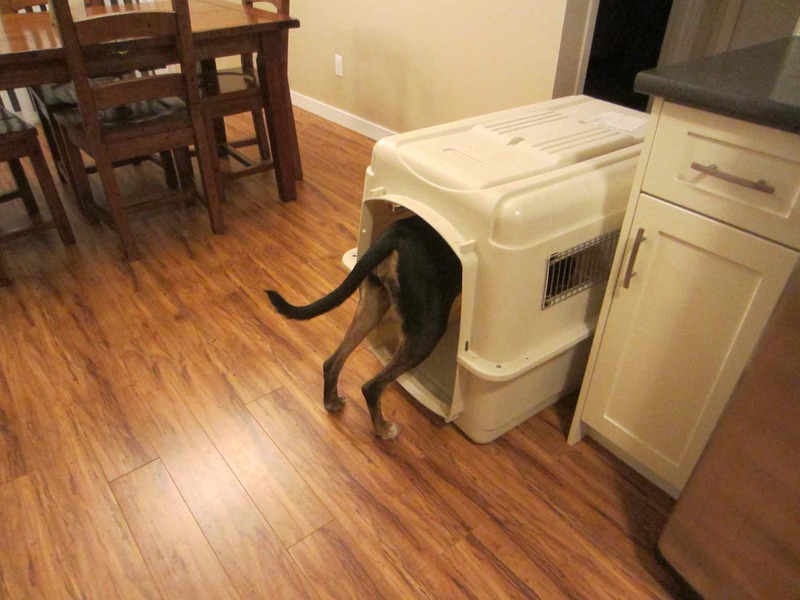 There’s still some work to do on getting her to stay in the crate with the door closed, but with brief practices periods, gradually increasing the duration, I’m confident she’ll be a pro in no time.